Advanced® osmometers utilize the industry-preferred freezing point depression method to determine the osmolality of an aqueous-based solution. When a solute (particles) is dissolved in a solvent (water), the freezing point of that solution is lowered compared to that of the solvent alone. As more solute is added, the freezing point decreases further. Therefore, by precisely measuring the freezing point of the solution, the osmolality (i.e., concentration) can be determined. A2O Advanced Automated Osmometer: A fully automated, multi-sample osmometer, with true walkaway operation. Intelligent liquid handling, easy sample loading, positive sample identification, STAT sample capability, enhanced LIS and data management capability. 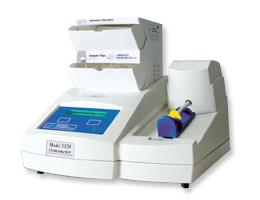 Advanced 3250 Single-Sample Osmometer: The premier research-oriented, single-sample freezing point osmometer designed for fast, accurate sample analysis and versatile operation using a 200-250μl sample. It is ideally suited for routine osmolality testing in the clinical laboratory and also for research applications in pharmaceutical, academic and industrial laboratory settings. Fiske®210 Micro-Sample Osmometer: When you need precise, rapid results from an extremely small sample, the Fiske®210 freezing-point osmometer requires only a 20μl sample size, which provides accurate osmolality in less than 90 seconds. Advanced 3320 Micro-Osmometer: It is a single-sample osmometer designed to provide fast, accurate test results using a 20μl sample. 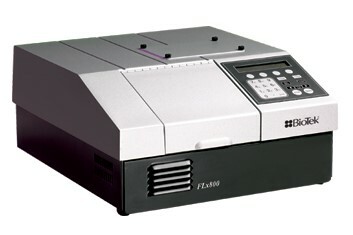 It combines proven freezing point technology with an elegant design that is both simple to operate and easy to maintain. It is ideally suited for routine osmolality testing in clinical diagnostic, pharmaceutical and industrial laboratory settings. Advanced 2020 Multi-Sample Osmometer: It is a multi-sample automated osmometer designed to process up to 20 samples with unattended operation while providing fast, accurate results. It combines proven freezing point technology with a functional design that is both simple to operate and easy to maintain. The Model 2020 is ideally suited for mid- to high-volume laboratories that prefer to automate osmolality batch testing while improving laboratory efficiency and throughput. StarDust MC15: The StarDust MC15 is an automated photometer designed for small, medium, large and emergency laboratories due to its speed and versatility. Its simultaneous processing of a multi-cuvette strip allows the reading of 15 endpoint chemistries in only 1 minute or 15 kinetic chemistries in only 4 minutes. Batch, random access and profile modes allow to perform sample analysis according to the different laboratory needs for sample workflow. 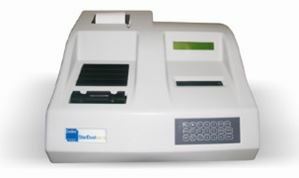 BioTek Instruments is a worldwide leader in the design, manufacture and sale of microplate instrumentation and software. These technologies are used to aid life science research, facilitate drug discovery, provide rapid and cost-effective analysis and enable sensitive, accurate quantification of molecules across diverse applications.